The Samsung Galaxy A8 (2018) is one of Samsung’s latest models within their range. But it comes with a lengthy list of similarities with the Galaxy S8 such as their Super AMOLED Infinity Display, Samsung Experience interface and 3,000 mAh battery. However, the performance is not the same and neither is the processor or camera. We’re going hands on to give the brand new Galaxy S7 an in-depth review. If you want to know anything about the new Samsung flagship, this is the place to be. We’ve separated aspects of this smartphone into different sections to make for easier reading. Are you Samsung fan? 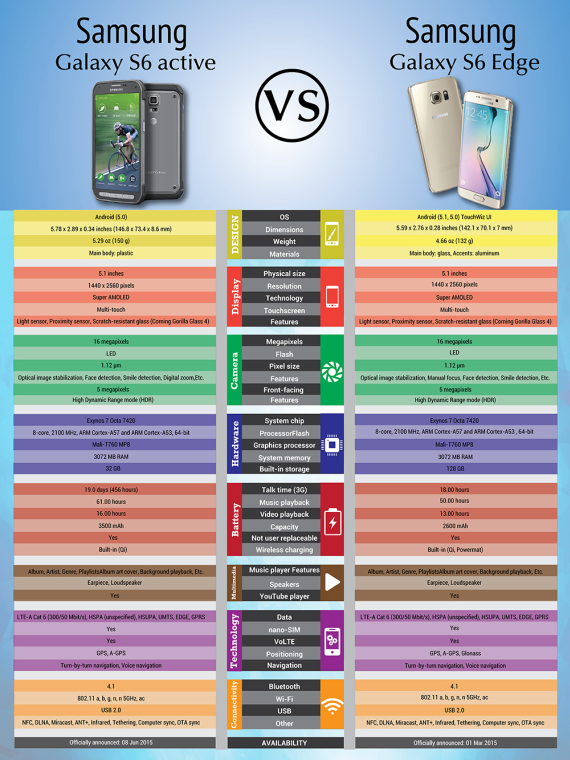 Here is a short review for Samsung Galaxy S6 Active vs Samsung Galaxy S6 Edge! If you like it, please share it!